Are you planning your spring or summer vacation? Cruises can be a fun venue for vacationing. Picking a cruise can be tough so we hope the list below helps. Also, we know you deserve a break and what a better way than to see the world on a boat. Although we can’t board the cruise with you (we wish! ), asterRIDE will get you to your destination safely and on time. We have our tires on the ground, but you don’t have to! Departing from Fort Lauderdale, this round trip, 18-night Panama cruise takes you to George Town, Grand Cayman; Cartagena, Colombia; Panama Canal; San Juan Del Sur, Nicaragua; Puerto Quetzal, Guatemala; Huatulco, Mexico; Puerto Vallarta, Mexico; Cabo San Lucas, Mexico; San Diego, California; and San Pedro (LA), California. All this, on board the Crystal Symphony, a gorgeous 922-passenger ship crafted in Finland. Disney never disappoints! Departing from San Diego, Disney Cruise Line offers this 2-night cruise with multiple options including Pirate Night, Pirates of the Caribbean themed shows, and a multitude of character experiences sure to please all ages. Departing from Los Angeles, you will board the Carnival Splendor and spend the next two weeks exploring the islands of Maui, Honolulu, Kona, and Hilo. Carnival Cruiselines knows how to party, with their own DJ on site. Grab a friend and go! Leaving The Magic City, Miami Florida, you can board the Enchantment of the Seas and escape for a 3-night expedition to the Bahamas. Ports of call include Nassau and Coco Cay. Coco Cay has four beaches, including Snorkel Beach – aptly named for it’s great offerings for those interested in snorkeling. 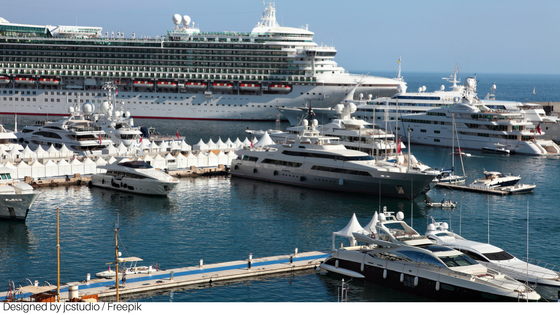 AsterRIDE specializes in cruise-transfer as well as airport service. Learn more here about asterRIDE. Pre-plan your post-vacation transportation with us, and we guarantee a reliable ride back to your home-sweet-home. Because, we all need a vacation now and then, but we also know, there’s no place like home.